The Japanese-spec RC213V-S makes 68PS at 6,000rpm, so I’m guessing the bikes we rode were not making much more than that. And thanks to the curbed power output, even near the limiter in 4th gear, we were clocking barely over 140kmph. Clearly not the best setup to review this 188,000 Euro (approx Rs 1.44 crore) road-going replica of the bike that Marc Marquez and Dani Pedrosa race through the MotoGP season. That said, the RC213V-S is still an incredible machine. Its compact 1,000cc V4 motor uses the exact same sand-cast aluminium crankcase from the RC213V MotoGP bike. The bores are nickel-plated, the conrods and valves are titanium, and the airbox is carbon fibre, just like the GP bike. However, it doesn’t get the GP bike’s pneumatic valves, instead using regular valve springs, and it uses a conventional cassette-type 6-speed gearbox in place of Honda’s top-secret seamless-shift transmission. Obviously, there is a slipper clutch and quickshifter though. 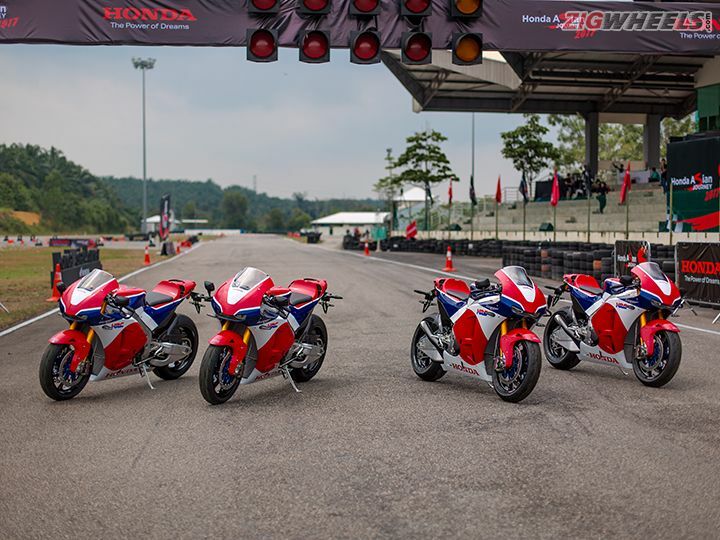 Its power figures in the road trim are far from impressive, but with the 12,000 Euro (approx Rs 9.2 lakh) race kit in place, Honda claims over 215PS of peak power, and a drop in the dry weight to 160kg, thanks to a titanium exhaust and removal of the lights, indicators and mirrors. The race kit also includes race-derived brake pads and swaps out the Bridgestone RS10 tyres for racing slicks. Even in its road trim, weighing in at 170kg, the RC213V-S is light even by superbike standards. 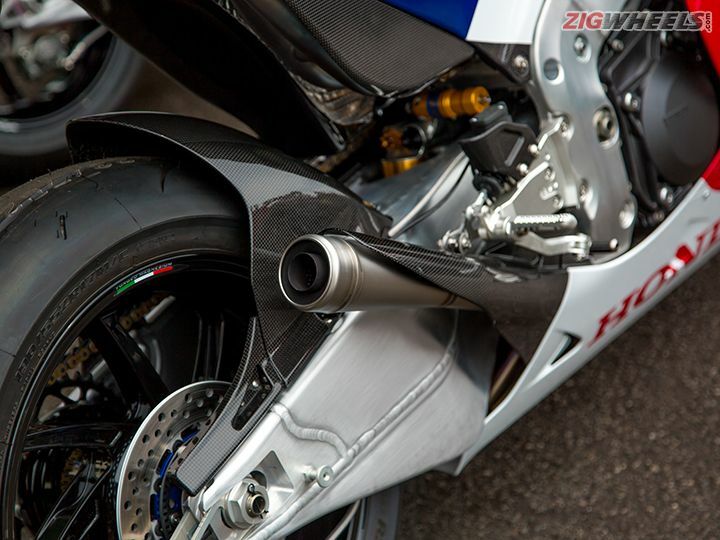 And that’s because the handcrafted aluminium frame and underbraced aluminium swingarm (both built by Moriwaki), are pinched straight from the race bike, and all the panels are carbon-fibre, with even the fasteners made from titanium. Even the Ohlins TTX25 gas-charged forks, the Ohlins TTX36 rear monoshock and feather-weight forged Marchesini magnesium wheels are GP spec. 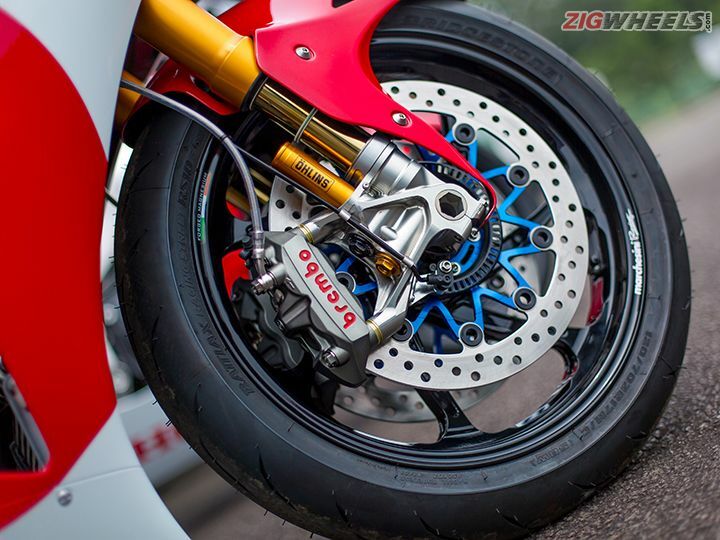 No carbon brakes, but the Brembo setup used here, with steel discs is identical to what the MotoGP bike uses in the rain. 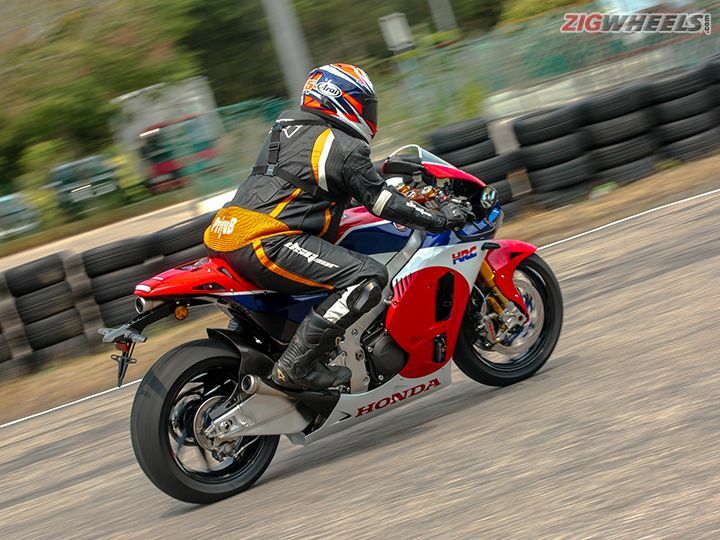 Outright horsepower figures isn’t what the RC213V-S is all about. 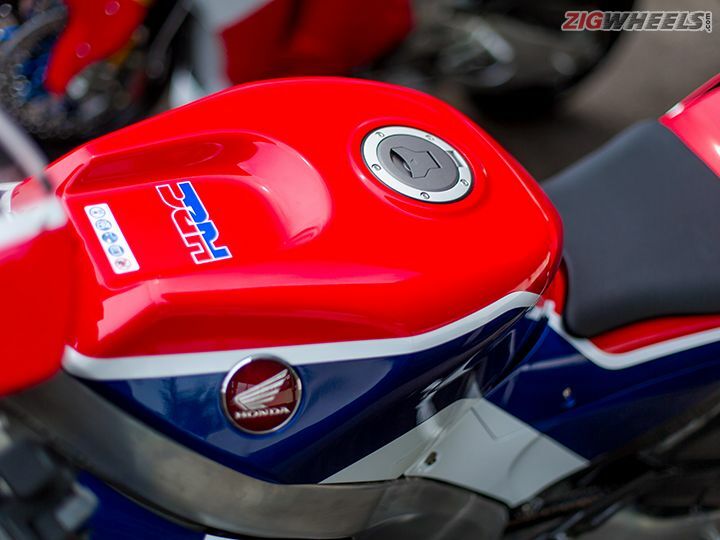 The brief at HRC (Honda Racing Corporation) was clear – make a bike that delivers the experience of riding a pukka MotoGP bike. While I can’t really comment on how true that is (or about how fast it actually is), I can assure you that it handles like nothing else. You can forget your RSV4s and even CBR1000RRs – from its perch, the RC213V-S feels even smaller and slimmer, more on the lines of a 400cc machine. 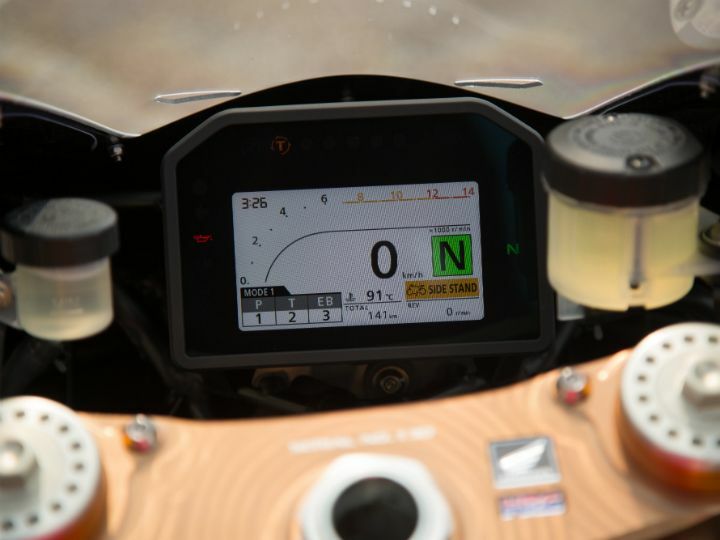 The fuel tank is race-bike narrow, designed to be grasped firmly by the rider’s thighs, as it smartly extends under the seat to not limit fuel capacity. Honda claims that this is the world’s easiest motorcycle to manoeuvre, and I have no problem believing that. 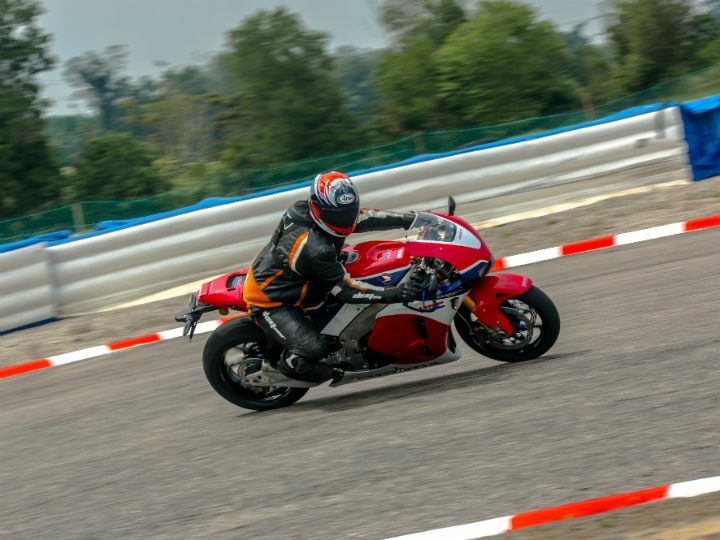 Apply a bit of input on the narrow bars, and the RCV tips eagerly into corners. But what’s actually shattering is the way it transitions from one corner to the next. From the continuously tightening right hand turns 2 and 3 at the Melaka circuit, the switch into the flowing left hand turn 4 happened effortlessly, allowing me to nail the gas (for what it’s worth) without giving it a second thought. The suspension is a real gem as well. There was lots of broken tarmac through the tight turns 7 and 8, and the bike just flattened out the bumps like they weren’t even there. My seven short-lived laps had me wondering just how the RC213V-S would feel in its full-blown race trim on a proper race track. It’s an experience I’ll probably never get. And it’s a shame that my takeaway from spending time on such an exclusive motorcycle (with only about 250 made) was so little. But I’m probably one of only four Indians to have at least had a taste of what this MotoGP bike for the road feels like, and that makes me feel just a little bit special.